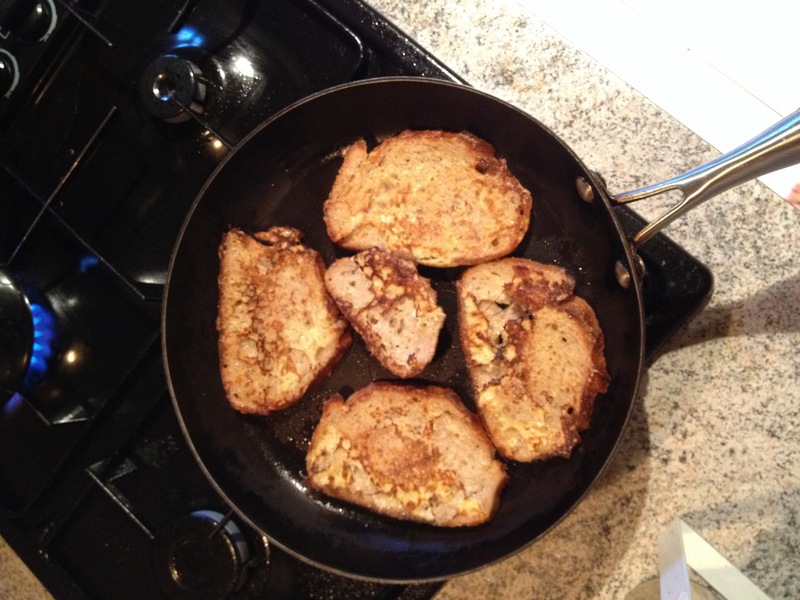 French toast in English, Pain perdu in French: basically the same thing. A file of sliced stale bread, milk, egg, sugar, a little fit of butter and you are in heaven! In a flat bottom dish, beat the egg. In another flat bottom dish pour some milk (not too much: just enough to deep a slice of bread). Add the butter to the skillet. Take a slice of bread, deep it in milk then in the beaten egg and add it to the skillet: go on until you have enough. Enjoy with a sparkle of sugar or some maple syrup.